You will be collected from your hotel in Nairobi for a morning drive across the Rift Valley down to the Masai Mara Game Reserve. You arrive in time for lunch before enjoying an afternoon game drive. 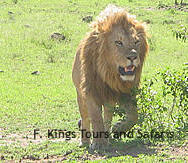 You then return to camp for dinner and overnight at Mara Sarova Camp. 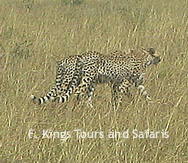 Experience the magical Masai Mara with morning and afternoon game drives. All meals and tea times will be provided to you during this period. For the next 2 nights you will remain at Sarova Mara Camp. There is an early morning game drive, followed by breakfast. After breakfast you will be transferred to Nairobi, where you will be dropped-off at your hotel.